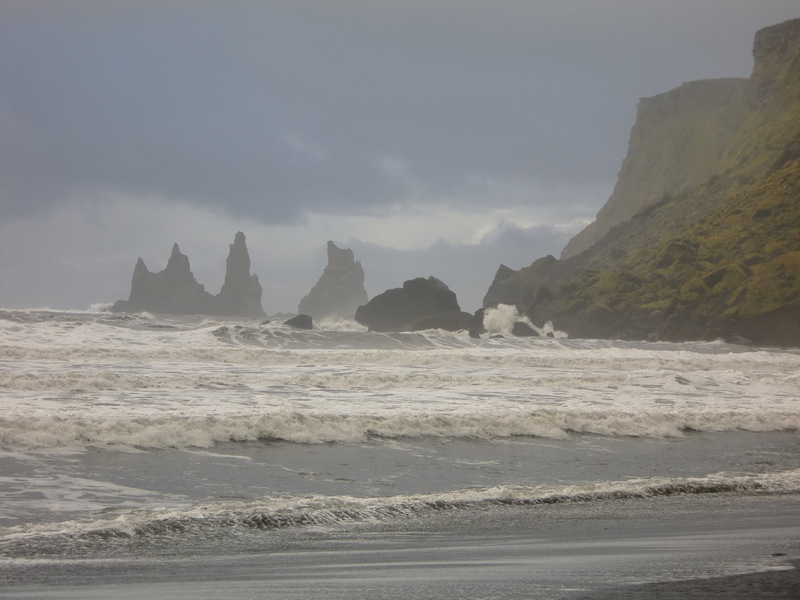 There was beautiful early morning sunshine whilst I had breakfast, but the weather turned nasty approximately two minutes after I started a walk on the beach in Vik, and stayed ridiculously (Icelandically!) changeable all day. I received an element-battering whilst I took a few photos of the Reynisdrangar rock stacks (legend has it that three trolls out causing mischief one night were turned to stone once dawn broke), before continuing my drive east across the Mýrdalssandur (below). The next stop on my journey along the south shore was the 120-person village of Kirkjubæjarklaustur (meaning something like ‘church farm cloister’, but more commonly known as “Klaustur” to its friends!). 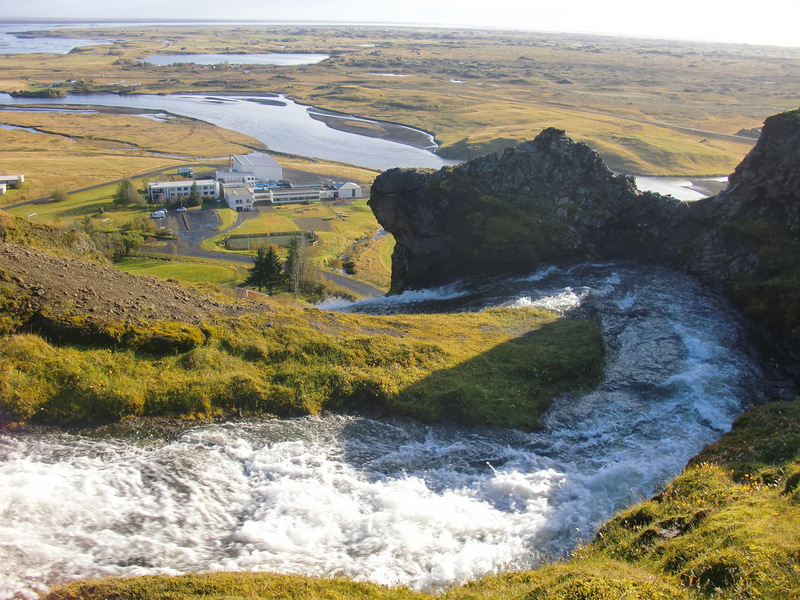 I walked up the steep path on the west side of Systrafoss waterfall (seen below from the top, looking over the glacial run-off plain below), around the Systravatn (Sisters’ Lake) that it flows from, and round the rest of a steep and boggy loop back down into the village. 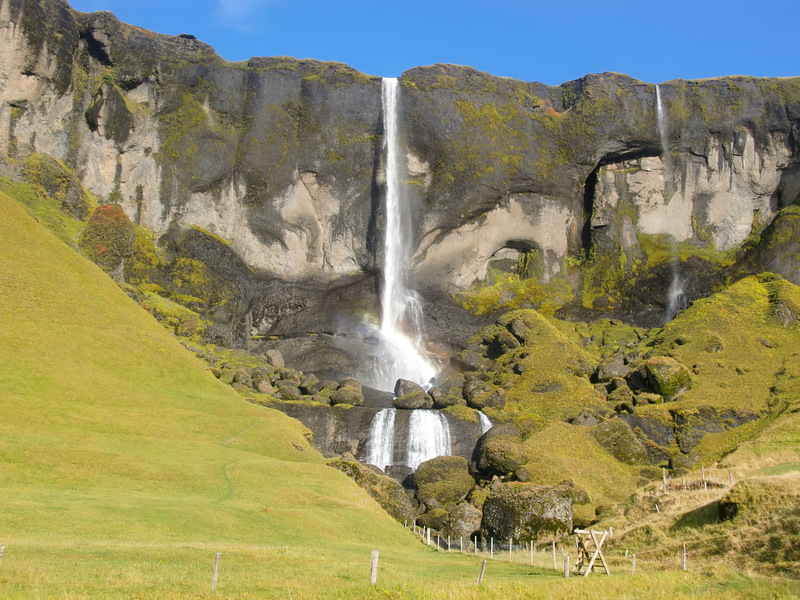 Continuing east, I took a quick stop at Foss á Siðu, as it looked like a great waterfall for a scramble over rocks at the left hand side. Of course, the combination of wet rocks and a clumsy ginger kid led to the clumsy ginger kid almost falling in, but it was fun! 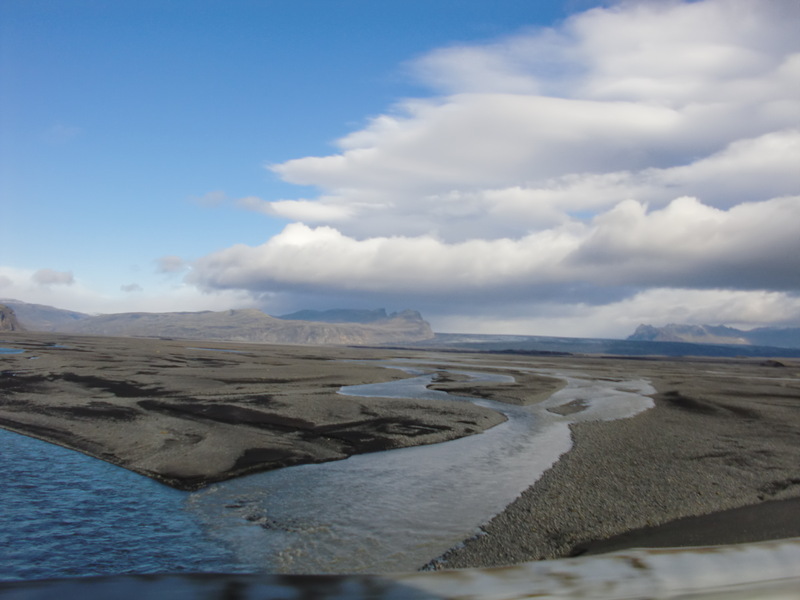 The Skeiðarársandur glacial outwash plain is much larger and more spectacular than the Myrdalssandur (apparently covering a massive 320,000 acres), with long, narrow bridges to carry Route 1 across the many drainage channels. 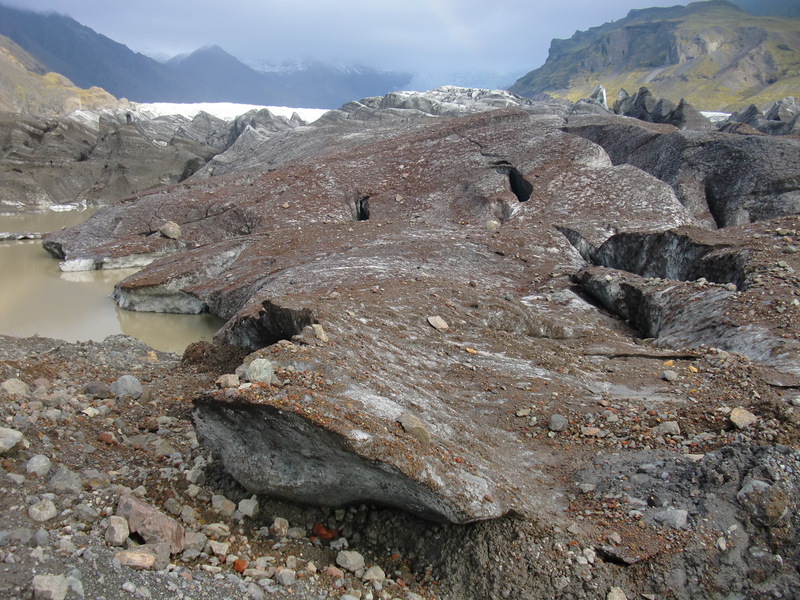 Halfway across I stopped to look at the photo boards of the worst flooding, caused by the jökulhlaup after the 1996 eruption of Grímsvötn (the volcano which caused the smaller ash cloud in May 2011). 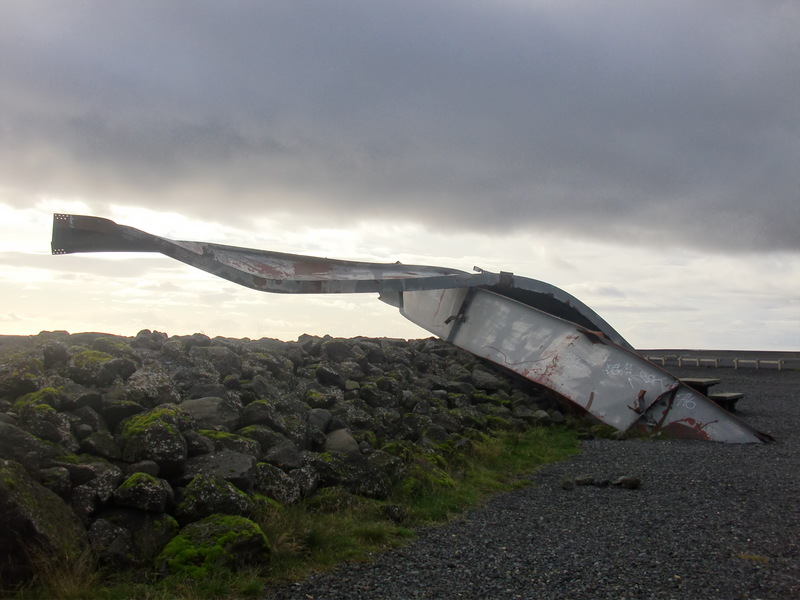 There’s also a twisted girder of the Skeiðará old bridge by the information signs, giving just a little indication of the destructive power of nature. 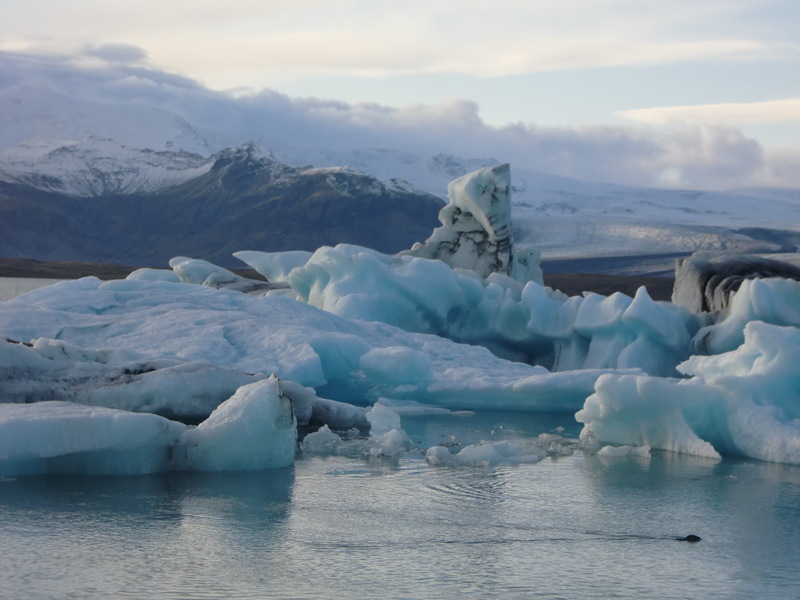 Further east, beyond the Skaftafell National Park visitor centre, I decided to go it alone on a glacier hike (I’ve done organised ones on past trips), and spent a merry hour sliding and scrambling around in the moraine at the end of the Svínafellsjökull glacier tongue. 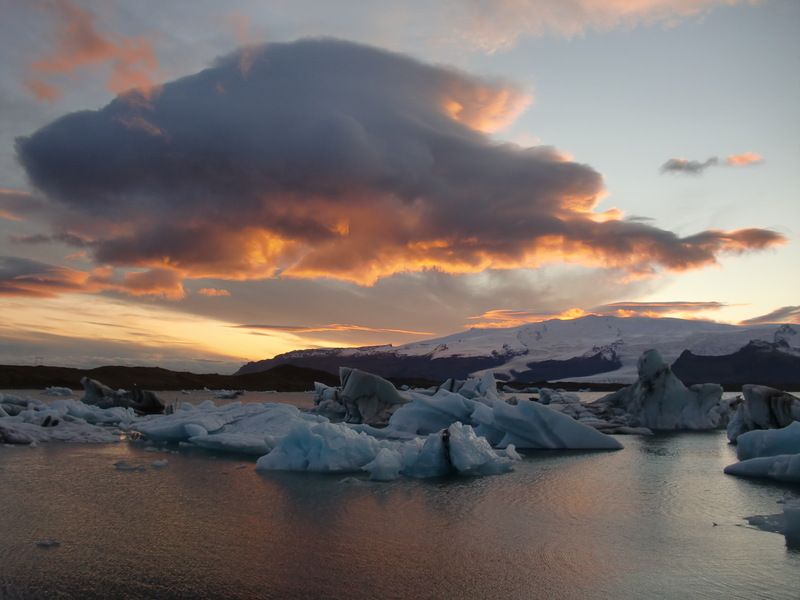 The last big driving stretch of the day – from Svínafellsjökull to Jökulsárlón – was the best of an amazing amount of beautiful scenery. 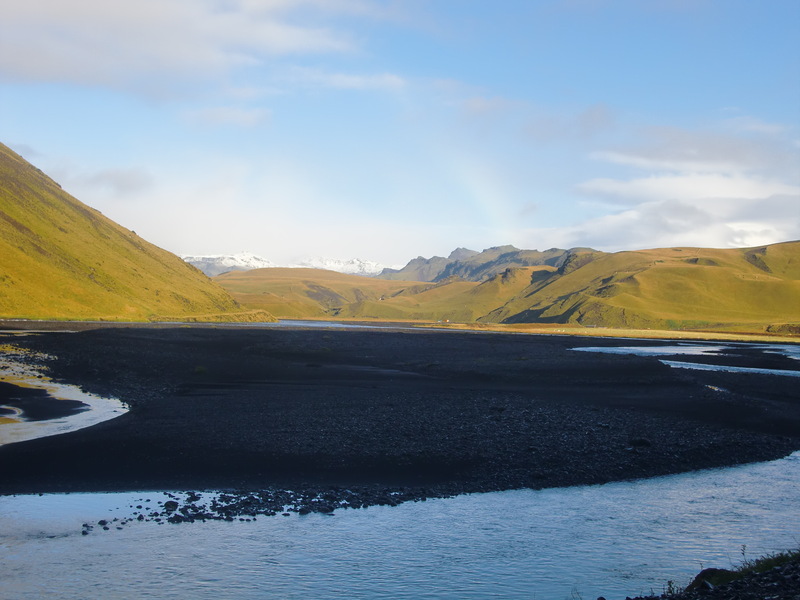 I had phenomenal views of glaciers and mountains both in front of me and behind, and felt extremely lucky both to be there and that the road was almost deserted so I could keep stopping for photos. …also looking for the Great Skua (not the British Sea Power record!). And then someone set the sky on fire. I can cram a lot into these days. After I’d found my hostel and had dinner it got even better, as the clear night and open skies, I finally got to see some bright flashing greens and purples of the northern lights. Only a little “show”, but absolutely stunning and leaving me wanting to make another trip to see the Aurora in its wider beauty again soon. This entry was posted in Iceland and tagged Foss a sidu, Grimsvotn, Iceland, Jökulsárlón, Kirkjubæjarklaustur, klaustur, Mýrdalssandur, Reynisdrangar, Skaftafell, Skeiðará, Skeiðarársandur, Svínafellsjökull, Systrafoss, Systravatn, vik by littlegingerkid. Bookmark the permalink.